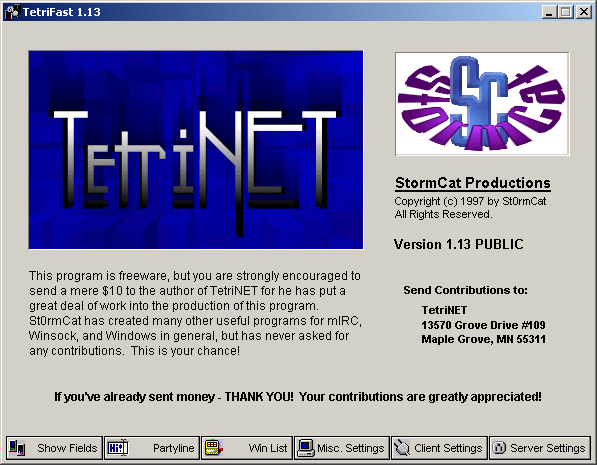 TetriFast 1.13 is a hack of the TetriNET 1.13 client, where the one second piece delay has been removed. Except this the 1.13 clients are identical. The TetriFast client can only be used on servers supporting the TetriFast protocol. TetriNET clients like aTwin, Blocktrix and TetriGen have built-in support for TetriFast.